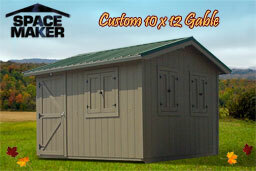 Do you need more space for storage, work, animal shelter, or other needs on your property? Perhaps you don't have a garage for all of your cars and are looking for a building you can use as a portable garage. 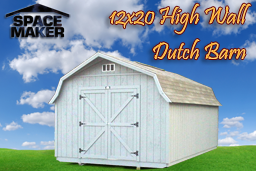 Whether you need a large unit for self storage on your property in suburbia or a barn for your dairy farm, the 12x20 high wall Dutch barn is a great solution to your requirements. Aside from the extensive size and the versatility of usage of this building, the customizability and the sturdiness of the construction speak for the value of this particular investment. While gray is a popular color, it's possible to match any color you want through the use of our color matching machine. Are you in need of something a little more protective than a carport? 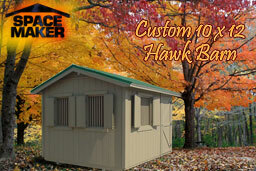 If you live in a place where summer brings frequent hailstorms, winter brings violent snow storms that cover your car with snow, or in a coastal area where the salt in the air wreaks havoc on the lifespan of your car's paint job, this larger Dutch barn can be the perfect portable garage for your car. 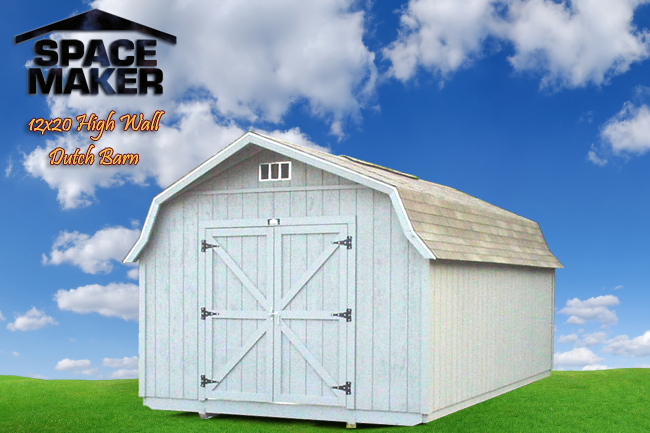 Unlike the low wall Dutch barn, you don't have to worry about the height of the roof - which is formed from insulated decking and 25-year shingles - so you can easily get in and out of the large space. Never freeze under the carport again! On a dairy farm, there is plenty of room for milking and processing within the 12x20 building. And should you just need a storage building and don't want to pay a fortune for a self storage facility (the monthly bills can really rack up! ), you have plenty of space to hold all your belongings without worry of elements getting to them and damaging them. Best of all, the building is small enough to fit in your yard without becoming a featured attraction that detracts from your home (and other homes in the neighborhood). Covered with Western Fir siding that utilizes baked on primer to add life to the beautiful gray paint covering it. Covered with a roof that overhangs on all sides to help protect these walls against the elements, further creating long-lasting beauty. Customizable so you can choose whether your facility is going to contain shelving, where windows will be placed, and whether or not to incorporate shutters. 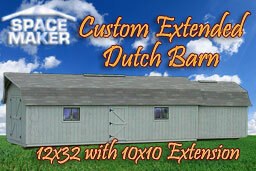 The 12x20 building is fashionable, resembling the intriguing and imposing design of the Dutch style barn without standing out too much. 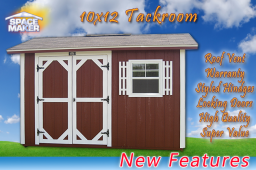 The dimensions are slightly higher on the 20-foot walls than a standard barn of this style, allowing for more room to store items and to get around, assuming you are using the building as a portable garage, dairy barn, or for self storage. 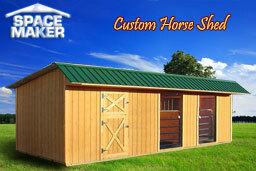 If this doesn't quite meet your needs, check out the custom buildings we can create to meet your specified needs.